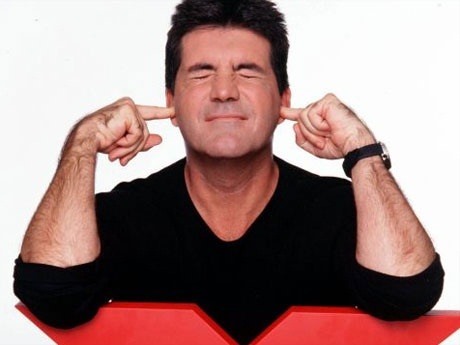 If you've ever listened to your loved ones sing in the shower or watched a few minutes of American Idol, you would think that the majority of the population is tone deaf. In reality, only about 4 percent of the world's population suffers from tone deafness, or the inability to distinguish between different pitches. 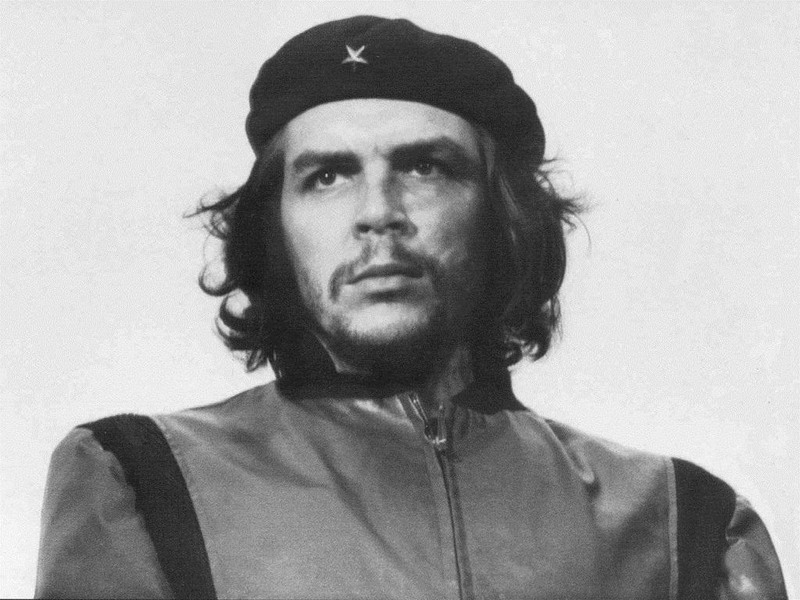 Che Guerava, Charles Darwin, and Ulysses S. Grant were all tone deaf. Research done by Harvard Medical School has shown that people with bad singing voices can hear music just fine. It's people who are tone deaf, or amusics, who are unable to differentiate between pitches in music—rendering music nothing more than "traffic noise" for them, according to researchers at the National Institutes of Health. So how can you find out if you're truly tone deaf? 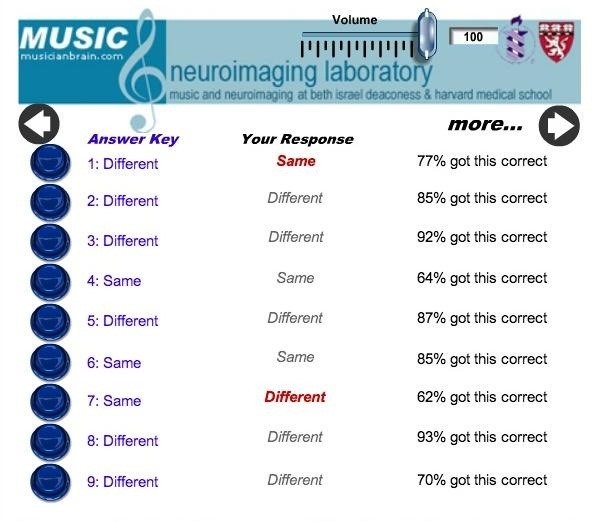 Jake Mandell, a resident in Radiology at Brigham and Women's Hospital and former Harvard Medical School student, has developed a way to check for tone deafness with a simple online test. 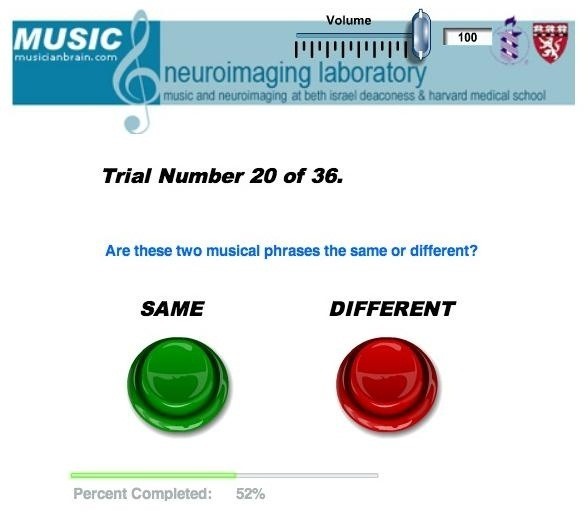 The test consists of 36 different smaller tests, which are each made up of two musical phrases. Your job is to listen and figure out if the two phrases are identical or different. The 36 questions take roughly 6 minutes, with some of them being extremely easy, while the majority are not. 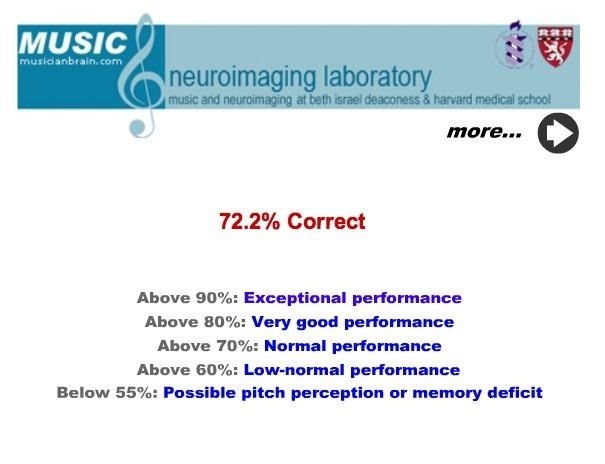 The test is made very difficult—so much so that even excellent musicians rarely score above the 80% mark. After finishing the test, you'll be asked to fill out a short survey, which goes towards Mandell's research. After filling it out, you'll receive your percentage score. 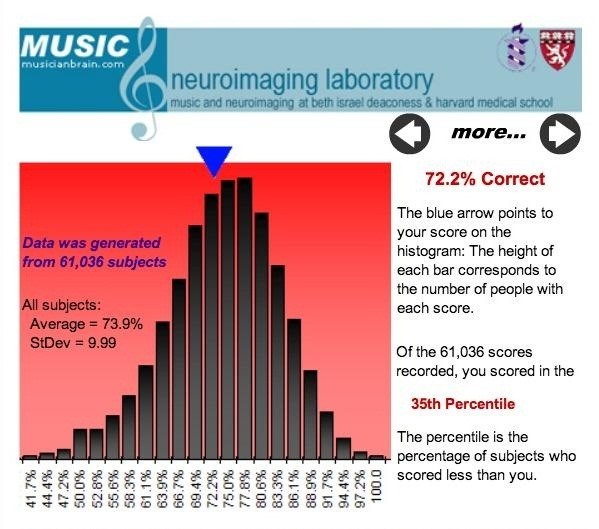 I took the test myself and scored a 72.2%, about 1.7% below the average. Like I said before, the test is very difficult, so don't feel bad if you end up with a low score. If you score below 55%, you might have a possible pitch perception or memory deficit, as memory does play a role in the test. You can also check out the averages, standard deviation, and which questions you answered incorrectly. If you do fall below the 55% mark and are frightened about being tone deaf, there's no need to worry. If you do in fact have amusia, you can be taught to differentiate between pitch and even sing.